New Series Picked Up By Comedy Central From Ben Stiller!! Comedy Central has just greenlit a new tv series called ‘Big Time In Hollywood, FL“, which is a single camera comedy from Ben Stiller and his production company ‘Red Hour‘. The show follows two brothers who think of themselves as filmmakers, and are kicked out of their parents house, to which they set out to make a film on the road and their exploits. Sounds good to me. The roles of the parents have already been cast. 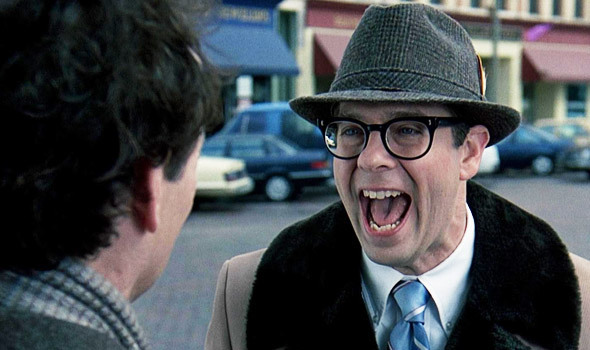 The mother will be played by Kathy Baker, who was in ‘Edward Scissorhands‘ and the father will played by Stephen Tobolowsky, who of course is iconic in ‘Groundhog Day‘ as Ned Ryerson. The two brothers have yet to be cast, but we will update you as soon as we hear word. This entry was posted on Thursday, August 22nd, 2013 at 11:27 am	and is filed under News, Television. You can follow any responses to this entry through the RSS 2.0 feed. You can skip to the end and leave a response. Pinging is currently not allowed. « Seth Rogen and Evan Goldberg Now Have A TV Series At FX!! !